Would you like to be contacted when this is product is available again? Thank you! 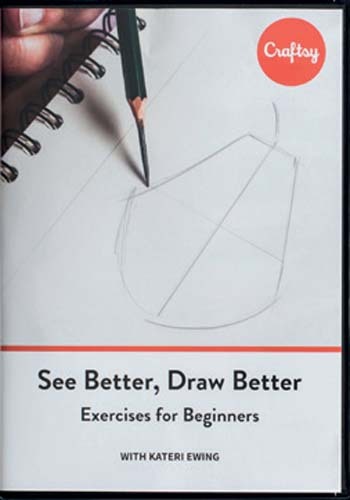 We'll email you when 'See Better, Draw Better: Exercises for Beginners [DVD]' is available to buy again. Great drawing means making your hands and eyes work in harmony. Kateri Ewing will help you bring the two together! Join her for a series of exercises that will have you drawing better. Includes printed reference materials booklet with detailed supply list and reference images.